Sun., Aug. 20, 2017, 5:50 p.m.
GREENSBORO, N.C. – Henrik Stenson kept making birdies on the back nine Sunday at the Wyndham Championship. They added up to a tournament record – and his first victory of the year. Stenson closed with a 6-under 64 for a one-stroke victory in the final event of the PGA Tour regular season. The 2013 FedEx Cup champion finished at 22-under 258 at Sedgefield Country Club, breaking the course’s 72-hole record set by Carl Pettersson in 2008 and matched last year by Si Woo Kim. The Swede earned $1,044,000 and 500 FedEx Cup points for his sixth win on tour and his first since the 2016 British Open. Stenson said he left his driver in his locker all week – “he’s a little anxious to get out there and start getting some air time next week,” he quipped of the club – and certainly didn’t need it on the par-70 Sedgefield course. 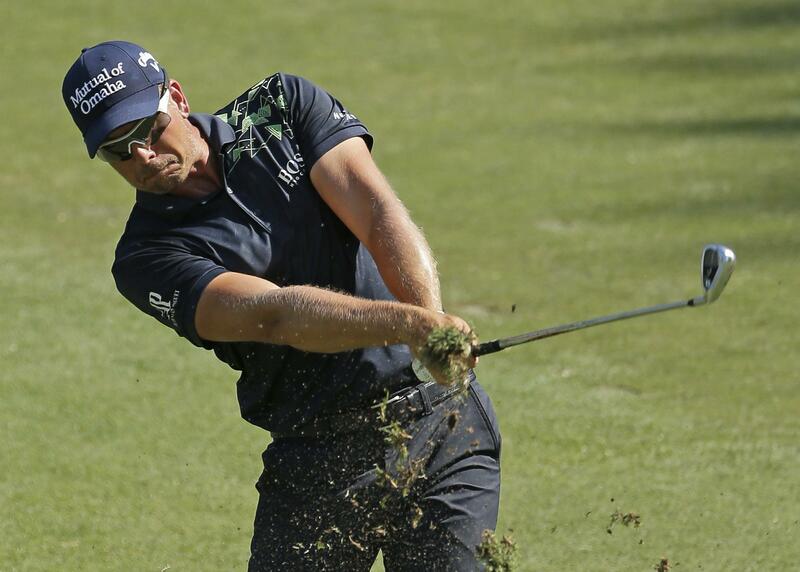 “I had to keep on making birdies,” Stenson said, “because Ollie was surely not backing down. Stenson had three consecutive birdies on Nos. 15-17 – leaving a 20-foot eagle putt on the 15th hole about a foot short – after he and Schniederjans were both at 19 under. Stenson’s 30-foot birdie putt on No. 17 moved him to 22 under. Low scores and tight leaderboards once again were the norm at Sedgefield. With seven holes left for the final pairing, four players – Stenson, Schniederjans, Ryan Armour and Kevin Na – shared the lead at 18 under. “It was anyone’s tournament on the back nine,” Stenson said. The other subplot at Sedgefield was the push by the bubble players to qualify for the playoffs that start next week at The Northern Trust for the top 125 on the points list. And Martin Flores, who started at No. 139, jumped to No. 118 and made the playoffs for the first time since 2014 after a 63 highlighted by a hole-in-one on the par-3 16th. J.J. Henry, Harold Varner III and Rory Sabbatini also played their way into the top 125. DIVOTS: Ben Crane was the first player this week to ace the 16th hole, earning 1 million rewards points from the tournament’s title sponsor. “Billy Horschel and I did a lot of choreography work beforehand and nailed it, did the right high fives,” Crane said about his post-ace celebration. Published: Aug. 20, 2017, 5:50 p.m.